Fall has been here for a while, according to the calendar, but finally the weather here in Austin is starting to catch up. We’ve had some lovely cool mornings and evenings, and the afternoons are just perfect. Football season is in full effect and the markets are full of lovely fall vegetables. With Halloween around the corner there are lots of fun, silly cocktails that look gross or exciting – and those are fun, but sometimes you want something a little more elegant. One of the best ways to celebrate fall is with a cocktail that really showcases the amazing flavors of the season. 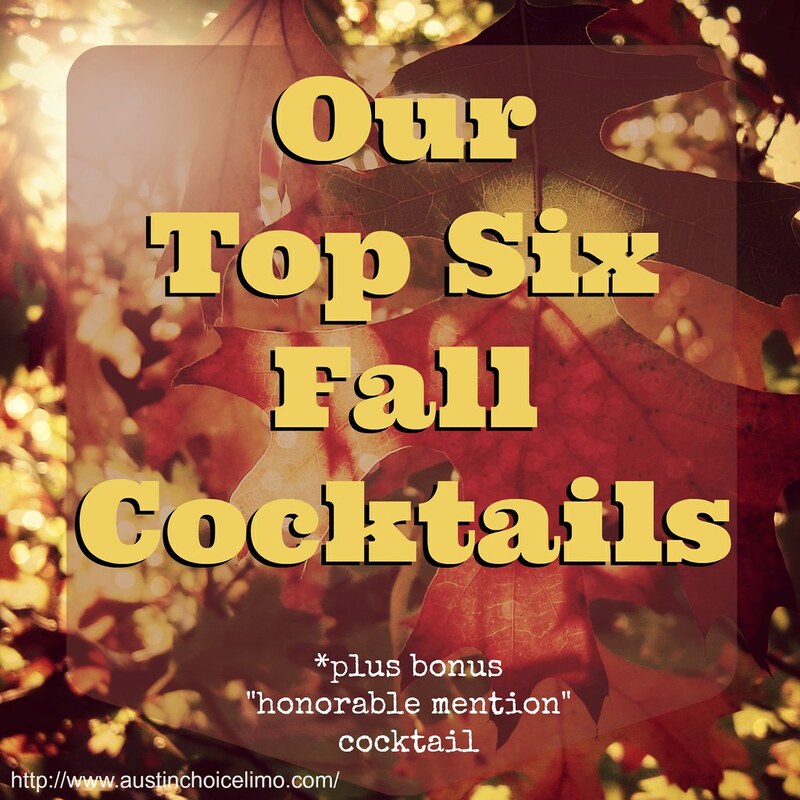 We’ve collected some of our favorite fall cocktails for you, check them out! This cocktail is from local Austin blogger Red, White and Blueberries and looks amazing. Apples and cinnamon in a sparkling drink – it doesn’t get much more Autumn than that! This next drink is called Bumble Brown Punch and has all the flavors of fall. The warm spices combine with the richness of brown sugar and the bite of a honey amber lager. Don’t miss this one! Nothing says fall like pumpkin pie and this cocktail is pumpkin pie in a glass! Real pumpkin, vanilla vodka, and a graham cracker rim make this new concoction a sure fire classic in the making! Even though we get to hide behind sweaters this fall, we still want our skinny jeans to fit. This figure-friendly cocktail is creamy and delicious but only 150 calories – that’s less than a Pumpkin Spice Latte! The flavors of chai and vanilla are a new but delicious fall combination. For this next cocktail, the smokey richness of bourbon combines with the wintery sweetness of maple for the ultimate fall combination – and the surprising addition of rosemary gives the drink a freshness that brings to mind crisp fall afternoons. Fig is an under-appreciated fall ingredient that really shines in this exotic drink. Fresh figs and brown sugar are blended together and then stirred gently into sparkling champagne for this exciting autumn cocktail. Those our are Top 6 but this next cocktail gets an honorable mention just for being so creative! The earthiness of Kale mixed with the spicy bite of arugula is blended with “healthy” quinoa vodka for a different kind of fall beverage. What’s your favorite fall cocktail? Leave us a note in the comments and let us know! Remember to be responsible while enjoying these fall cocktails! Contact Austin Choice right now at (512) 690-3378 or book a reservation online to arrange for limousine or town car service to make sure you or your guests get home safely!